The HSX Rock Slider Square Tube by Havoc Offroad is a tremendous addition to your Jeep JK 4 Door when it comes to side protection. 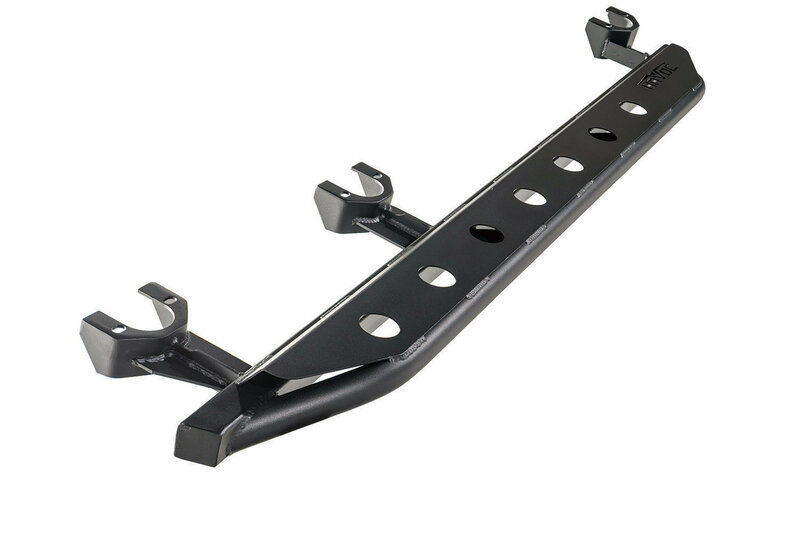 Made from a 1-3/4in x 120in steel Square tubing, 3/16in plate steel mounts, and 1/8in steel step plates, you can be sure of side plus undercarriage armor protection.This guard covers the full length of the rocker panel with a built in flat step. 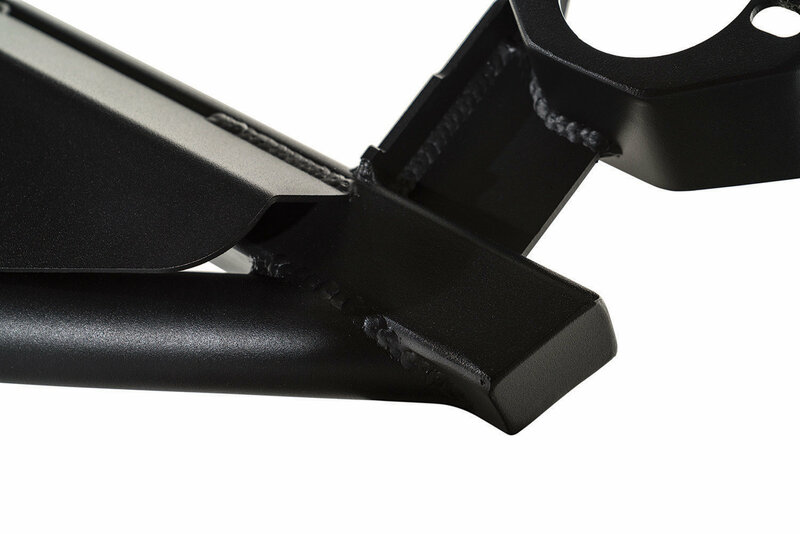 The step is wide enough for ease of entry with holes for a non-slip grip. Keep your Jeep protected from those rock and tree stumps at the same time giving you ease of entry. Go wreck some havoc. 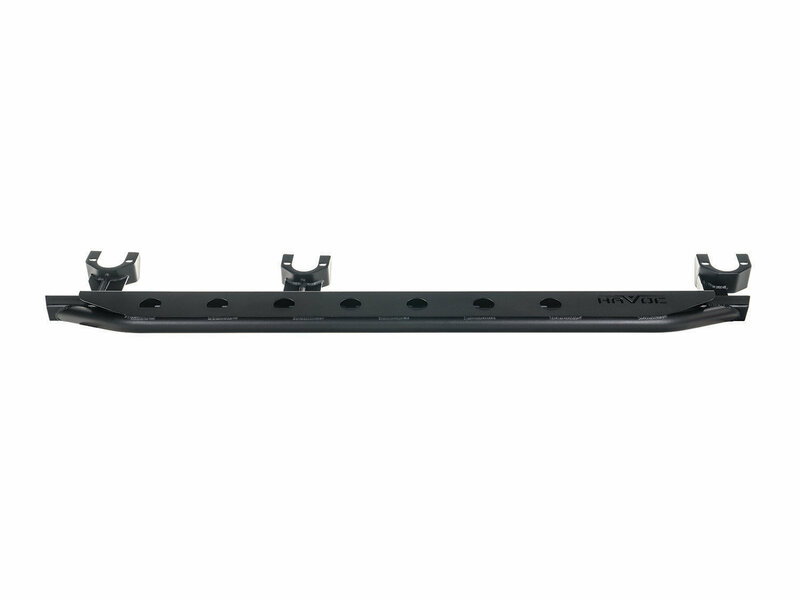 Available in Black powder-coated and mounts to factory holes. 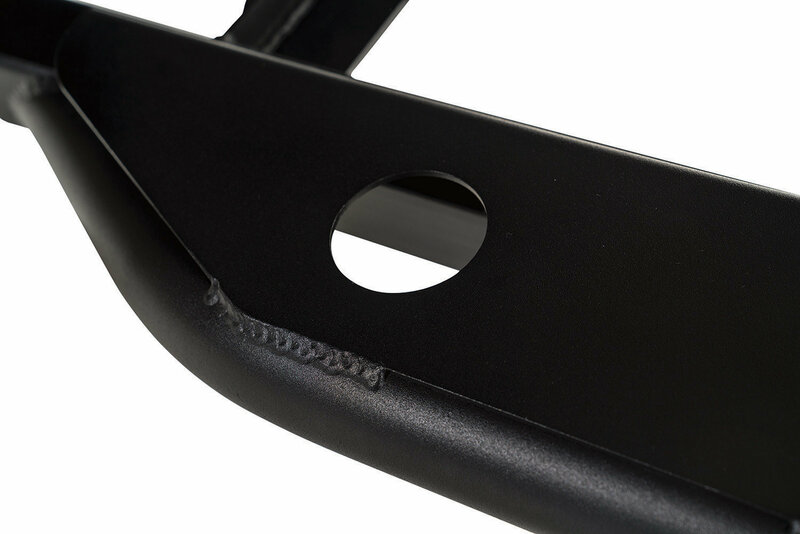 Functional Step: The CNC laser cut 1/8in sheet step plate with holes provides sure footing and a firm grip when entering or exiting your Jeep. Built to Endure: Made from durable 1-3/4in x 120in steel square tubing to handle the abuse of the trail and the harsh elements. Welded end caps keep debris from entering inside the tube which gives additional protection. Auxiliary Protection: Covering below your rocker panel providing protection from trail obstacles and road debris. Your larger tires will kick up more debris and these steps will give you some added safeguard.